We may think that the only way to heat an object is by setting the source of the heat directly to the targeted object. However, there's a different way to heat an object without even touching it. 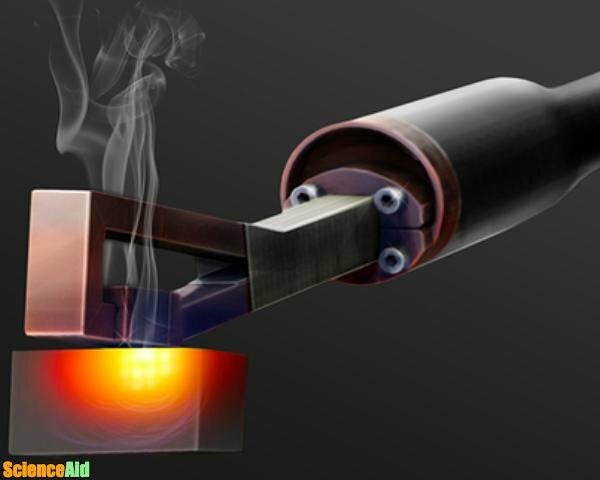 Induction heating is employed to bond, harden or soften metal parts or other conductive materials. It works because it presents a combination of speed, reliability, and control for many existing industrial processes. In traditional procedures, an open flame is directly warming up the metal part. On the contrary, in induction heating, by circulating electrical currents, heat is induced into the object. This technique relies on the attributes of radio frequency (RF) energy. Within the electromagnetic spectrum, this frequency flows under infrared and microwave energy. The metal part never contacts a flame since heat is transmitted to the object through electromagnetic waves. This way, the inductor doesn't get hot, and the object is not contaminated. The process can be repeated and controlled easily when properly set up. As a result, objects can be heated very quickly. At the same time, there's no external contact, and this is key where contamination is a problem. In 1820, a huge discovery was made. When an unstable electric current runs down through a wire, it generates an invisible magnetic field all around it. Initially, Hans Christian Oersted a scientist from Denmark made this observation. One year later, Andre-Marie Ampère a French physicist, discovered that two wires transporting fluctuating electric currents, located close to each other, will attract or repel each other because the magnetic fields they create, produces a force between them. 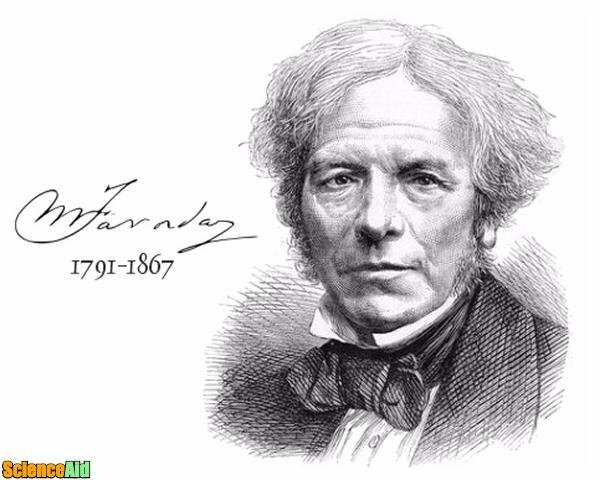 In 1831, Michael Faraday determined the main principle implicated in induction heating. His work included the employment of a switched DC supply with a battery and two windings of copper wire that he wrapped around an iron core. He noticed that when the switch was shut a temporary current flowed in the secondary winding. At that moment, it could be measured with a galvanometer. If the circuit stayed energized, then the current stopped to flow. After opening the switch, a current once more flowed in the secondary winding but in the opposed direction. Finally, Faraday deduced that because there was no physical contact between the two windings, then it was provoked from the first coil and that the current created was directly proportional to the rate of variation of the magnetic flux. An oscillating magnetic field is created when an alternating electrical current is used into the primary coil of a transformer. 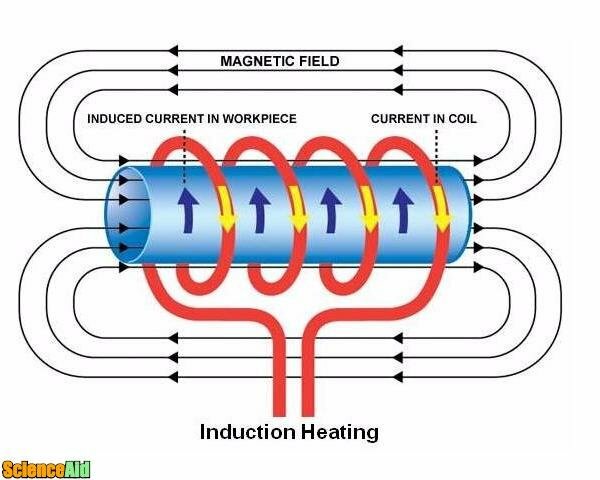 Corresponding to Faraday's principle, if the secondary coil of the transformer is placed inside the magnetic field, an electric current will be created. Let´s take a look at the example of a solid state Radio Frequency. The power supply transmits an Alternate current via an inductor which is often a copper coil, then the metal part to be heated is placed within the inductor. The inductor functions as the transformer primary coil and the metal part to be heated generate a short circuit on the secondary coil. 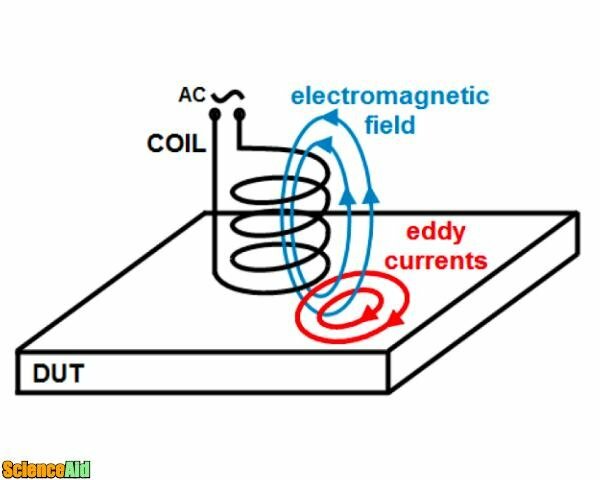 Whenever an object is placed within the inductor and gets inside the magnetic field, circulating eddy currents will be produced inside the object. These eddy currents run in opposite direction to the electrical resistance of the metal, creating precise and localized heat without any direct touch between the object and the inductor. When heating occurs within the magnetic and non-magnetic parts, it is frequently referred to as the "Joule effect". This formula states the connection with the heat created by electrical current distributed through a conductor. Extra heat is generated inside magnetic parts through hysteresis. Hysteresis refers to the internal friction that is produced when magnetic parts pass via the inductor. Magnetic materials present electrical resistance to the quickly fluctuating magnetic fields inside the inductor. This resistance creates internal friction which consecutively generates heat. Therefore there is no contact between the inductor and the metal part during the procedure of heating the material, and neither are there any combustion gasses. The material to be heated can be positioned in a setting separated from the power supply; immersed in a liquid, covered by isolated substances, in gaseous atmospheres or yet in a vacuum. An eddy current is a swirling current system in a conductor in reaction to a changing magnetic field. The current swirls in a way that creates a magnetic field contrasting the change. Electrons swirl in a plane perpendicular to the magnetic field to do this in a conductor. Eddy currents cause energy to be lost because of their nature to oppose. To be more precise, eddy currents convert more useful forms of energy like kinetic energy, into heat, which is usually less convenient. Although, in many applications, the loss of valuable energy is not especially wanted, there are some practical uses for it. Consider, for instance, the brakes of a train. While braking, the metal wheels are in interaction with a magnetic field from an electromagnet, producing eddy currents in the wheels. This interaction between the used field and the eddy currents proceeds to slow the wheels down. The faster the wheels are rotating, the stronger the result, this means that as the train slows the braking force is reduced, generating a smooth stopping motion. Electromagnetic induction is employed in many industrial procedures such as heat treatment in metallurgy, Czochralski crystal development and zone refining applied in the semiconductor industry, and to melt refractory metals which need very high temperatures. 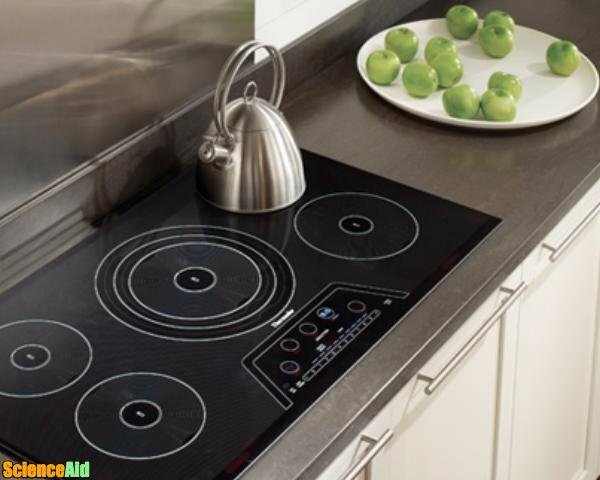 It is also utilized in something called "induction cooking" which basically means induction cooktops for heating containers of food. Since the 1920s, the basic principles of induction heating have been industrially applied. During World War II, the technology was used to harden metal engine parts. Lately, the emphasis on lean manufacturing systems and importance on better quality control, have headed to a reawakening of induction technology, along with the expansion of precisely controlled power supplies. Induction heating lets the targeted heating of a related item for applications involving surface hardening, melting, brazing, soldering, and heating to fit. Iron and its compounds react best to induction heating, due to their ferromagnetic characteristics. However, Eddy currents can be produced in any conductor, and magnetic hysteresis can happen in any magnetic material. It has been employed to heat liquid conductors and also gaseous conductors. It is often utilized to heat graphite crucibles and is applied widely in the semiconductor industry to heat silicon and other semiconductors. Other applications include induction furnace, welding, cooking, brazing, sealing, heating to fit, heat treatment and plastic processing. *An induction furnace employs induction to heat metal to its melting point. After molten, the high-frequency magnetic field can be applied to blend the hot metal. This is suitable for ensuring that alloying additions are fully blended into the melt. Metals melted involve iron and steel, copper, aluminum, and precious metals. In the food and pharmaceutical industries, induction heating is employed in cap sealing of containers. A layer of aluminum foil is put over the jar opening and heating by induction to fuse it to the container. This delivers a tamper-resistant seal, as moving the contents demands breaking the foil. In plastic injection molding machines, induction heating is also used. Induction heating enhances energy efficiency for injection and extrusion procedures. Heat is directly created in the barrel of the machine, decreasing warm-up time and energy consumption. Finally, the productivity of an induction heating system for a particular application depends on some factors: the properties of the part itself, the design of the inductor, the capacity of the power supply, and the amount of temperature change needed for the application. So, now you know that heating goes beyond direct contact and how clean and useful induction heating can be. MLA (Modern Language Association) "Electromagnetic Induction Heat." ScienceAid, scienceaid.net/Electromagnetic_Induction_Heat Accessed 23 Apr 2019. Chicago / Turabian ScienceAid.net. "Electromagnetic Induction Heat." Accessed Apr 23, 2019. https://scienceaid.net/Electromagnetic_Induction_Heat. Thanks to all authors for creating a page that has been read 767 times.